The first and the most important task of the mentor is to explain the use of the subject thereby creating the interest in the fresh minds towards it. We believe and stick to the phrase that “humans are not machines – we are something more, we have feelings and experiences”. And this is what we do at DIET. We foster the feelings towards the subject by showing the significance of the subject with regard to the Universe, Earth, Country, Society, and to Themselves. Learning is reinforced with plenty of materials of various forms. Providing BOOK BANK doesn’t completes our responsibility. 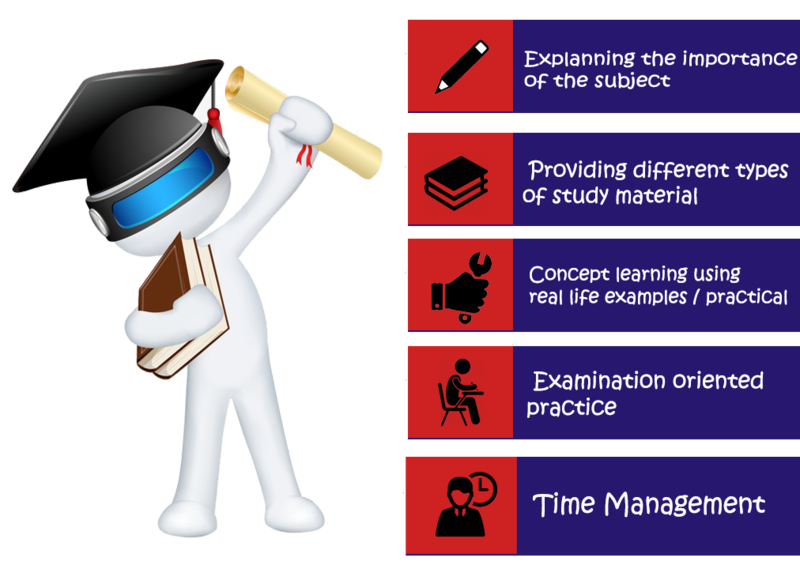 We constantly keep ourselves working in the preparation of updated NOTES, VIDEOS, ONLINE LECTURES as well as SOLUTIONS OF UNIVERSITY PAPERS. “The exams are important”. Yes, because they don’t only compel students to learn but are also the ways of judging the learners’ knowledge. You must have often seen students saying to Exams to be nice to them. But if the students are prepared then every exam will prove to be nice. The learners before appearing in the final exams are polished enough so they can shine and give the best. Be believe that “Preparation comes with practice and the DIETians are always PREPARED”. The ability to use one's time effectively or productively is the most critical task. Good time management enables you to work smarter – not harder – so that you get more done in less time, even when time is tight and pressures are high. The students are encouraged to identify their goals on the daily basis, schedule them according to the timeline and constantly do improvement to achieve more.